Listen up collector-car lovers. If you’re a fan of speed, performance, and good looks, you’ll fall in love with this half of the Corvette Dream Giveaway grand-prize package. It’s the fastest production car ever built by Chevrolet — the 2019 Corvette ZR1. When you make a generous donation to help out seven trustworthy charities, you’ll have a chance to put this 2019 Corvette ZR1 and a matching, fully restored 1961 Corvette in your garage, plus we pay $60,000 for the taxes. Chevrolet first introduced the ZR1 in 1970 with 375 horsepower. It stuck around for two additional years. Fast forward to 1990. Chevrolet reintroduced the ZR1 with an exotic dual overhead cam small-block pumping out 375 horsepower. It was available through 1995. In 2009, the ZR1 returned for a third time, this time bringing 565 horsepower to the table. It was available through the end of the Corvette’s sixth generation in 2013. That makes the 2019 Corvette ZR1 the fourth time the ZR1 name has signified the king-of-the-hill Corvette. Rest assured, all previous Corvette ZR1s are huge collectible cars, and your new ZR1, if you’re the winner, is sure to be as well. The grand-prize 2019 ZR1 has quite the scorecard — 0-60 mph in 2.85 seconds, quarter mile in 10.6 seconds, and a top speed of 212 miles per hour. But don’t think for a moment that this super-powered Corvette is too much power for everyday fun and adventure. In fact, thanks to the supercharged V-8, you can enjoy this grand-prize Corvette immensely without ever taking it to a racetrack. 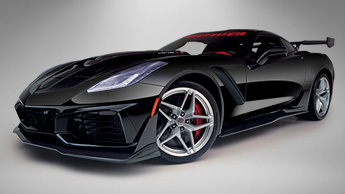 Special ordered for the Corvette Dream Giveaway brought to you by Lingenfelter Performance Engineering, enter and win and you’ll bring home a very special 2019 Corvette ZR1 with a stunning Black exterior and attention-getting Adrenaline Red leather interior. 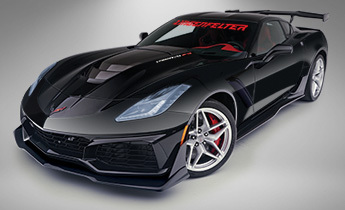 Like all Dream Giveaway Corvettes, this specially selected grand-prize car has the Lingenfelter signature treatment, including callouts on the windshield, hood, rear fascia and seat rests, and custom-colored ZR1 emblems on the hood and rear fascia. It’s waiting for you if you’re the winner, so be sure to enter to win today. The 2019 Corvette ZR1 is the only vehicle in Chevrolet’s entire lineup to feature the 755 horsepower, LT5 supercharged small-block V-8. With 710 lb-ft of torque, it’s sure to get your attention whenever your hunger for speed needs feeding. 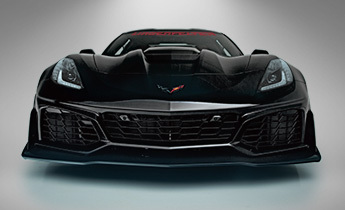 The 2019 Corvette ZR1 features components not found on any other seventh-generation Corvettes, including a carbon-fiber halo hood and engine cover, flared front fenders, left and right front air inlets, rear brake cooling ducts and unique carbon-fiber front splitter. 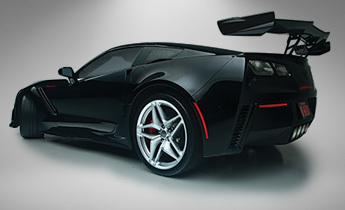 The optional ZTK Track Package, included in this grand-prize super Vette, adds a stanchion-mounted adjustable carbon fiber high wing, Michelin Pilot Super Sport Cup 2 tires, and performance suspension with specific shocks and springs. 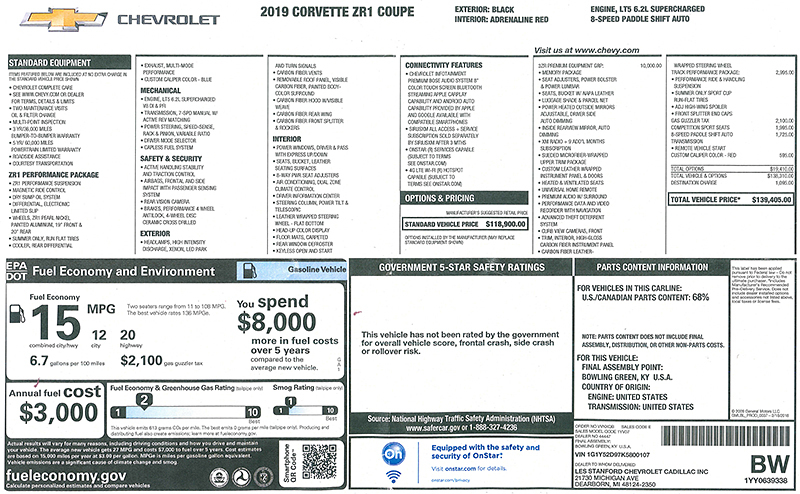 Donate today to help charities and you will be entered to win this 2019 Corvette ZR1 and the matching 1961 Corvette convertible, plus we pay $60,000 for taxes. Lingenfelter Performance Engineering was founded over 42 years ago and is a globally recognized brand in the performance engineering industry. Many of the products that have been produced by LPE have been instrumental in establishing performance thresholds.